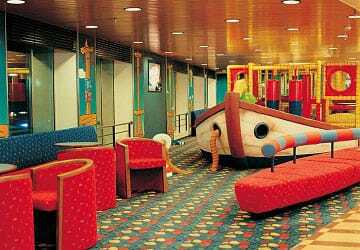 Moby Corse is one of Moby Lines cruise ferry fleet and features plenty of onboard amenities to keep you occupied during the crossing. 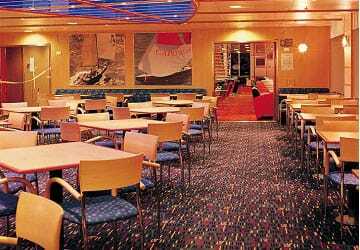 There’s a choice of onboard cabin accommodation, coach style seats, an entertainment lounge, self-service and à la carte restaurants, pizzapoint, a snackbar, a shopping area, children's play area and much more. There’s a selection of air-conditioned en-suite cabins on the Moby Corse with a choice of inside or sea view ('outside'). 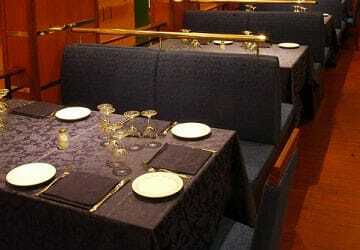 There’s a reserved seating area equipped with coach style seats. 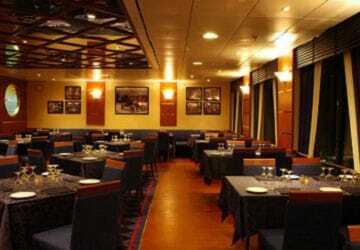 There’s a large selection of places to eat and drink onboard the Moby Corse ferry. In the à la carte restaurant there’s a delicious menu put together using typical Mediterranean ingredients whilst the self-service restaurant offers a range of freshly cooked delicious dishes, including a fun children's menu. 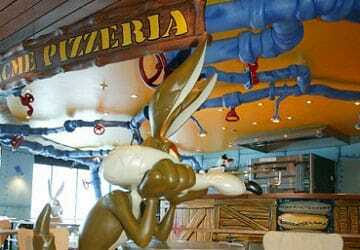 Authentic Italian pizza is available at the pizzapoint and there is also a snack bar. Once you've eaten, enjoy a relaxing evening in the show lounge, sipping cocktails with friends while listening to live music. 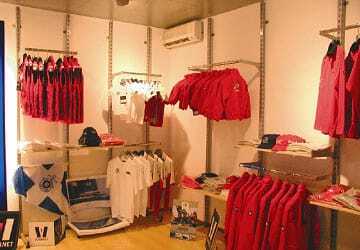 The Moby Corse features an onboard shop where you can buy clothing, children’s toys, maps, magazines and books as well as local Corsica products. 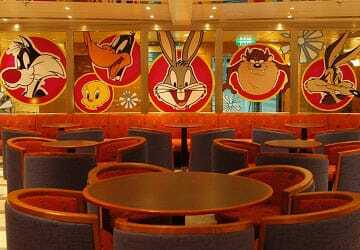 For children, travelling with Moby Lines will be a trip into the world of imagination, not least due to the Looney Tunes branding and figures which can be found throughout the ship. 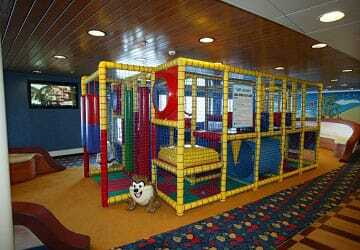 The Moby Corse has a dedicated children’s play area. There's also a video games rooms bursting with games for older children. Please Note: Whilst we have taken great care in making our Moby Corse guide as accurate as possible, onboard facilities, services and entertainment may vary depending on the date and time of year that you travel, facilities mentioned may change without notification and ferry companies reserve the right to operate vessels other than those mentioned at time of booking without prior notification. We had a great experience with Moby, tried all, from cabin to restaurant and even visited the medic on board. My daughter had an accident on the deck; three stitches had to be given quickly by the doctor on board. He was experienced, reassuring and knew what he was doing; we are very grateful to him and the staff who assisted him. This was our first time and we enjoyed it. The kids thought it was great to sleep in a cabin. A globally satisfiying crossing. The loading and unloading of the cars were poorly organised though. There weren't enough seats on the boat. Civitavechia-Olbia crossing. 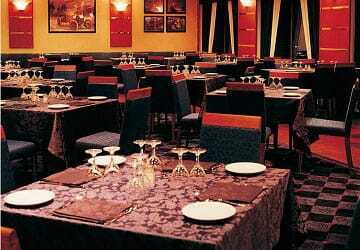 We arrived an hour late, which is a real problem when you arrive late in the evening and that your hotel is 80 km away. I made a mistake with my booking date. I booked for the 10th of June instead of the 11th. I had to pay the crossing again (which is normal). 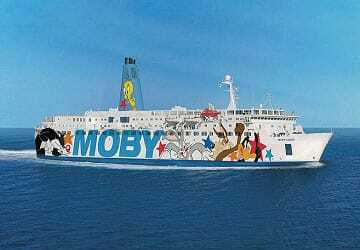 However, Moby could have done a commercial gesture, as the ferry wasn't full. Still, I understand that it was my fault. Oblia-Civiavecchia. Perfect and even early. It makes up for the outbound journey! Very good Journey . Despite of the condition of the sea when we departed. The sea was fine on the way back and I had a perfect return journey! 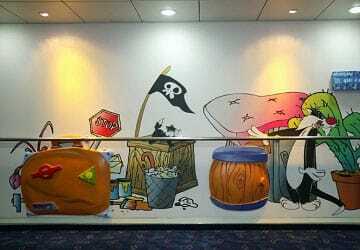 Very good job Moby!! 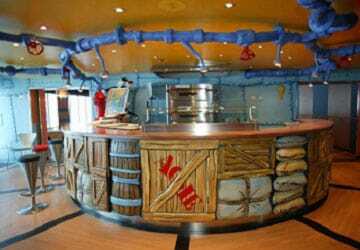 The Loony Tune theme of the Wonder ship was fun for the children and also for the rest of us, thanks to the tasteful design. 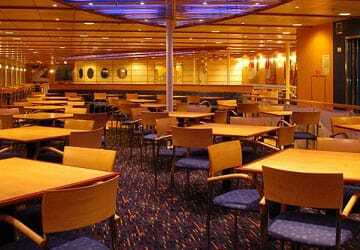 We were so impressed by the efficiency of the deck crew.